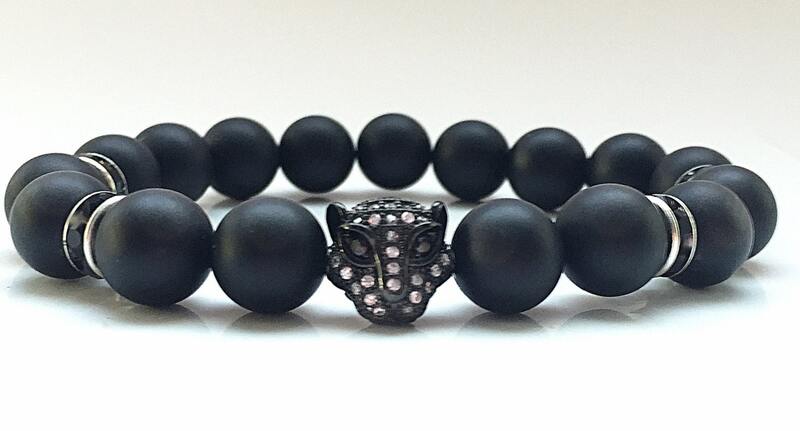 Authentic CZ cubic zircon, 14k Gold, Silver, Gunmetal Rhodium or Platinum Leopard Head Gemstone Beads, Men's & Woman's Bracelet. 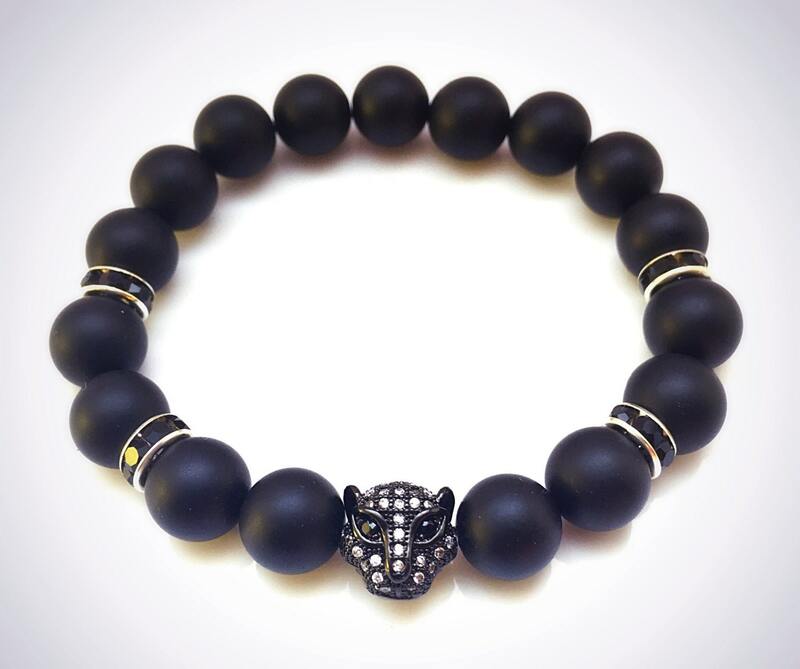 Handmade designer luxury bracelets crafted with precious and semi-precious stones, CZ diamonds and precious metals. Beautiful Sparkle and intricate detail. 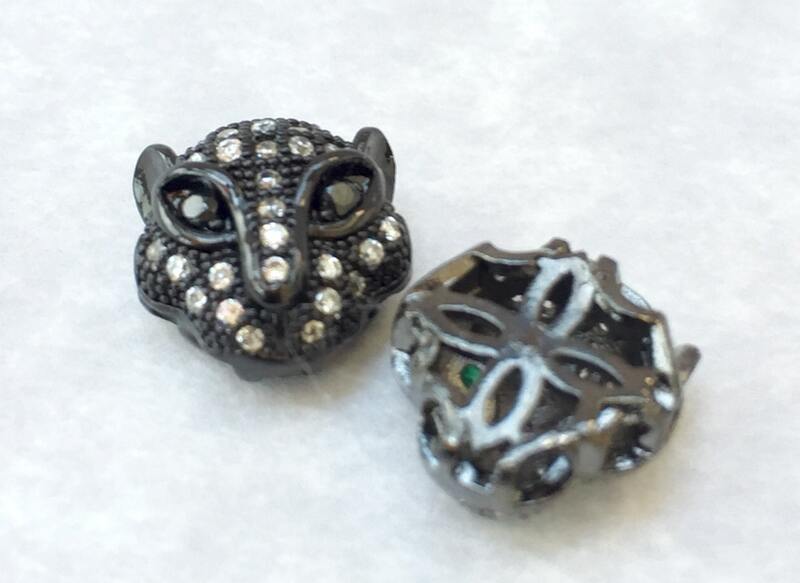 Made with: 11mm CZ Rhodium Leopard Head with 10mm matte Onyx beads and Black Crystal Rondelles beads. 🍀ABOUT US: We source Grade A+++ Natural stones and findings from around the world. 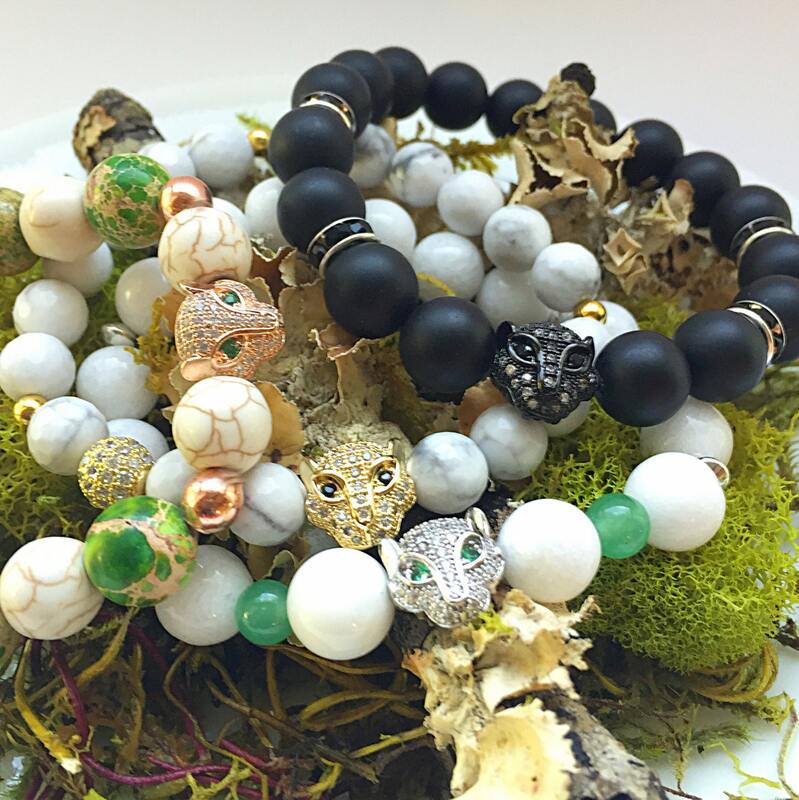 Each piece is created to enchant, enlighten, and empower your best you. 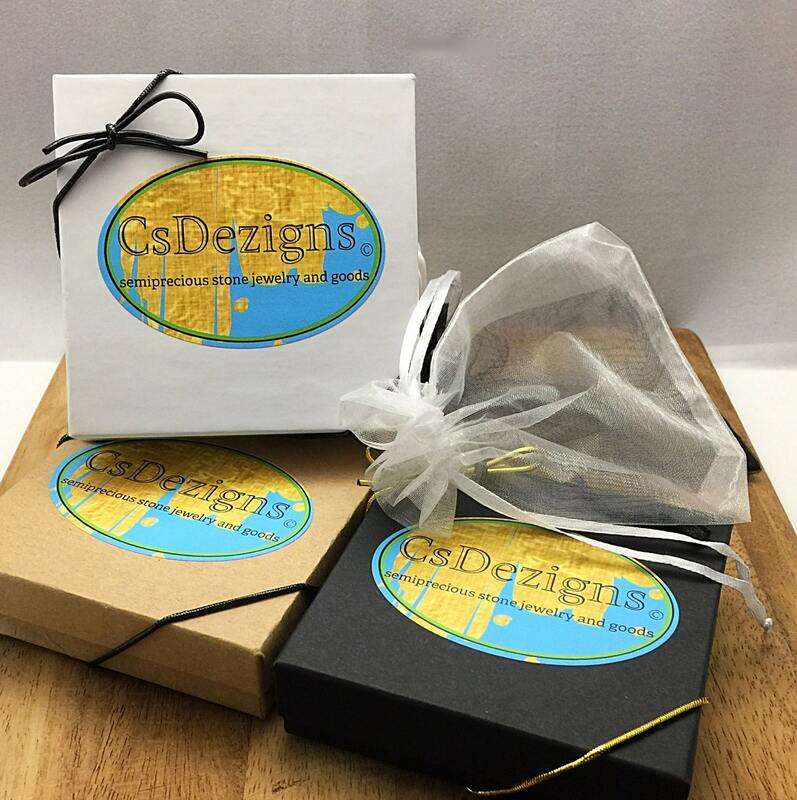 All made with the finest natural stones and and attention to detail. FAQ- refer to the Policies page for very useful information on the wear, care, sizing, etc.